It seems logical to pack a power strip and extension cord or two when preparing for your first semester in a dorm, so it may surprise you that some college dorms don’t allow them. Check the dorm regulations ahead of time as some colleges do allow surge protected multi-plug power strips while others prohibit extension cords altogether since unprotected cords can overwhelm the dorm’s electrical system. Between the microwave, laptop, gaming system, mini fridge, and TV all fighting for outlets, dorm residents need to know how to make the most out of the one remaining outlet (if that) left for lighting. This guide will help create a comfortable all-purpose environment that is conducive to studying, socializing, and sleeping. Overhead lighting often casts shadows where the wall and ceiling meet, creating a cave effect that makes a closet sized room look even smaller. Finding a floor lamp that shines up will compensate. A three-way lamp with attached reading light is best option because it gives the most flexibility for adjusting the environment. By matching the color temperature of the existing overhead fixture, it helps creates a uniform light that reduces eye strain and makes the room look larger. With a three-way bulb, you can turn the light to a lower setting during late night study sessions. When placed close to the desk, a reading lamp works as task lighting. Using a higher color temperature for this light bulb promotes focus and reduces eye strain when reading text books. Partnering with roommates to use a symmetrical room design will also open up your shared space. Click the image to learn how to make your own. Battery operated Christmas lights are one of the most versatile lighting elements for dorm rooms for both guys and girls. While your resident hall neighbors may be outlining doors and windows, take your string lights to the next level. Create custom stringers by threading the lights through foam cutouts or red solo cups by following the example in this DIY project. If your dorm doesn’t allow nails or push-pins in the wall, consider 3M hooks. The string lights are lightweight so you should have no problems even with more elaborate designs. You can also create DIY marquee letters. Create a globe effect by using ping pong balls over the lights once threaded through the opening in the letters. 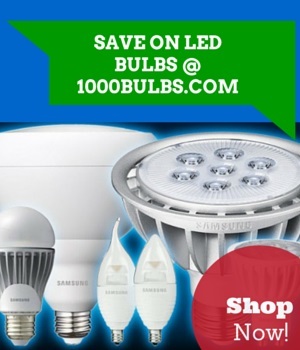 Since this method fully encloses the light bulb, use LED instead of incandescents because LED mini string lights have a lower operating temperature. You could also add a little magic to your home away from home by following our tutorial for a DIY Beauty and the Beast enchanted rose. However you decide to decorate your dorm room, make sure to consult the student housing website or contact the student center to avoid any problems moving in. While some prohibited items are self-explanatory, such as anything with an open flame, others may take you by surprise, like halogen bulbs or water beds. What’s fine at one college may be prohibited by another, so it’s important to check before the big move-in day. We at 1000Bulbs.com hope this guide has helped you prepare for the school year ahead. If you have any questions, feel free to leave them in the comment area below or follow us on Facebook, Twitter, Pinterest, and Google Plus for more DIY lighting projects.